How Come All The "Free Chips", "Free Spins" and Tournament links all say "All promo codes are gone"? The links for like 5,000 chips or any amount of chips always work whenever they're posted. But when the tournament links get posted or the free spins and all that get posted, I'll click them and once I'm in the game, I get a notification saying "sorry all our promo codes have been claimed"? Even though they were posted hours ago. I dont understand. Can someone explain? 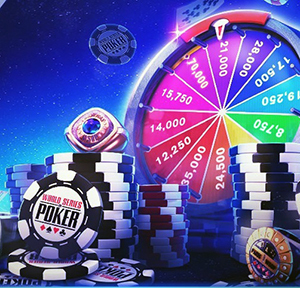 Discuss How Come All The "Free Chips", "Free Spins" and Tournament links all say "All promo codes are gone"? They are from Members Facebook Posts Timeline. It's the same type of link from your friends post on Facebook and the one you post in FB. It get's depleted after 5~8 clicks and has a very limited expiration time around 24 hours. Please use the forum next time if you have questions. Thank you.